What does life in Orba look like? Orba is a beautiful valley village on the Costa Blanca where property is quickly snapped up. Stunning views of scenery, a less touristy community and excellent value for money are enticing people to consider Orba as their next home. It is is proving to be particularly popular for those looking for a permanent home in a traditional Spanish village in the countryside. Despite its inland location, it is still close to Blue Flag beaches and is only an hour from Alicante and Valencia airports. Surrounded by stunning natural scenery and countryside. 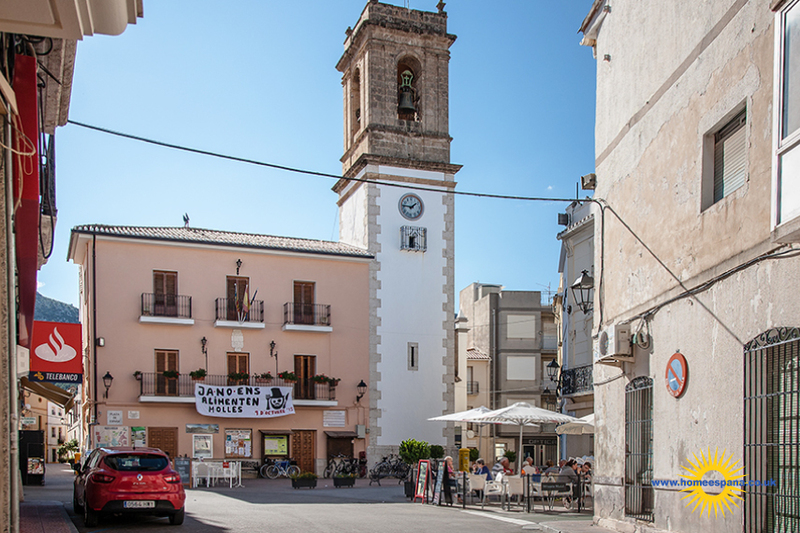 However, the village is still only 15-20 minutes from the beautiful coastal towns of Denia and Javea. Javea is known as the jewel of the Costa Blanca. The picturesque coastline is overlooked by the surrounding mountains and has romantic coves and an attractive port area. Arenal Beach in Javea has white sands, gentle slopes and spectacular views of San Antonio and La Nao with excellent tourism facilities. Denia has 20km of sparkling waters, sandy beaches and rocky coves. The beaches are very family friendly as they have great facilities and a beautiful marina. Les Marines beach is an amazing beach with exquisite golden sands and tranquil seas. This beach has great facilities including sunbeds and umbrellas to hire, lifeguards, parking, a bus station, disabled access, toilet facilities, a play area and a volleyball net. A person living in Orba can enjoy a peaceful village lifestyle, whilst still benefiting from being close to these fabulous beaches. Orba valley is made up of small villages of Benidoleig, Tormos, Sagra, Rafol d’Almunia and Benimeli which are scattered amongst the greenness and mountains. The church in Orba is on a site of an old mosque. The church has amazing interior and paintings by local artists. If you enjoy celebrating Spanish festivals, Orba is host to many throughout the year. It enjoys a splendid Mediterranean summer climate. The surrounding mountains protect the village from the cold North winds in the winter. The World Health Organisation stated that the climate is one of the healthiest in the world in the sense that it is not too hot in the summer and not too cold in the winter. The region receives on average 325 sunny days, making it the perfect year-round location to live in. Orba valley is famous for its lush greenness and mountains. Its agricultural traditions are still thriving in the valley, with its orange, almond and olive groves. The almond trees in particular attract a lot of attention with people traveling from all over to get some pictures while they blossom. 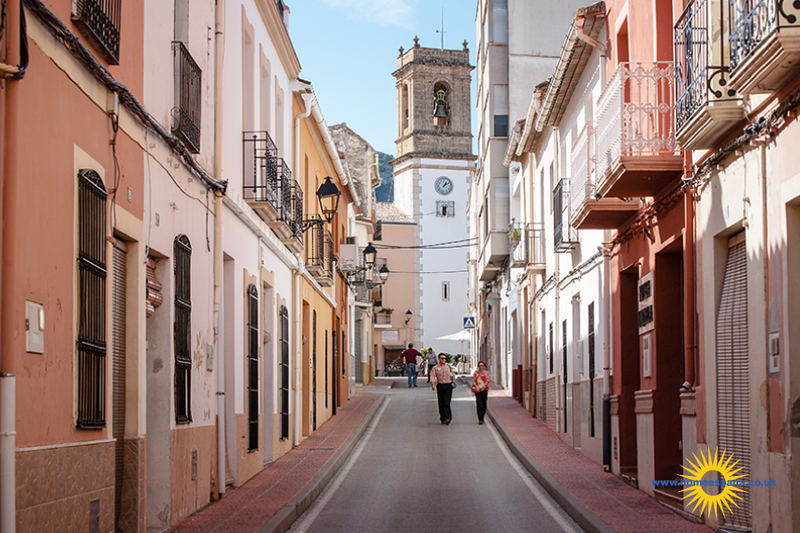 Orba has retained all its character of a Mediterranean village. The craft of pottery is still very much part of the villages industry. Agriculture is also a very important part of the villages industry, as Orba has a large fertile valley, growing mostly citrus fruits. If you love golf you have lots of options, the fabulous La Sella Golf course is only a 20-minutes drive from Orba. The golf course is surrounded by the Natural Park of Montgó, which is a Mediterranean forest. Other options include Club de golf Altea, Oliva Nova golf and Villaitana Golf in Benidorm. HomeEspaña has a fantastic selection of properties for sale in Orba and surrounding towns including villas, townhouses and apartments. Is is perfect for those looking for a property on a large plot with stunning panoramic views for exceptional value. Coastal towns on the Costa Blanca will not be able to beat it on price or scenic views. Our staff live locally and have gone through the same journey you’re now embarking upon and will be delighted to tell you more about their experience, and how you can buy your ideal home in this beautiful village. Our Benidoleig Office is located at: Plaça Diputación, 1, 03759 Benidoleig, Alacant, Spain.